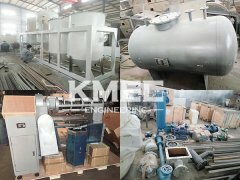 On 25th May 2018, the 30% advance payment of the sunflower seed oil pressing production line made by KMEC and the Kazakhstan client has been receipted. The main processing of this sunflower seed oil pressing production line is as followed: pretreatment——pre-pressing——leaching——refining——filling. 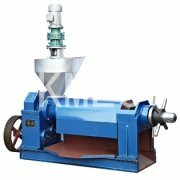 After screening by the vibrating screen and winnowing by the air separator, the sunflower seed enters into the husking machine for separating the shell and the kernel. Next the sunflower seed is placed into the softening processing, with the moisture content reducing to 8-9%. Then, the flower seed enters into the pre-pressing through the cooking pot. The pre-pressed oil is placed to refining after filtering, the finished oil cake is placed into the leaching machine, thus getting the sunflower seed meal and crude oil. At last, the crude oil enters into the refining equipment for dewaxing, decoloration, to get finished oil packed. The sunflower seed oil with high nutrition value, with rich linoleic acid with 58%-69%, which is the necessary unsaturated fatty acid for human. Our company can design the processing craft of the sunflower seed oil pressing production line for the clients according to their requirement and target price. 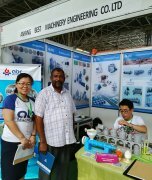 Normally, the newest processing craft is offered for the clients by the engineer.